Gabrielle and Adam met on Match.com, but as fate would have it they had already met in the hallways of the hospital where they were both doing their residency. It took until they were on their first date, before it dawned on them both that Adam had helped Gabrielle find her patient's notes on that earlier day! 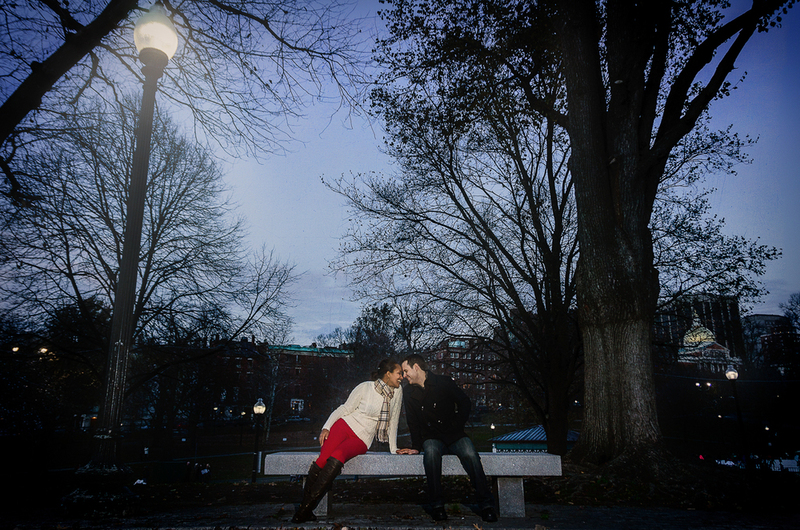 For their engagement session, they wanted to incorporate the iconic streets of Beacon Hill since they have recently moved to Boston and wanted to show that in the images. They were so much fun and had a great idea of shots while they ice skated on the Frog Pond! We are always excited to try out some different shots, so we were ecstatic! It was such a fun session with a great couple! We hope you guys enjoy the sneak peek!